Dr. Jeffrey S. Haskel has practiced Toxicology, Nutritional and Energetic Medicine, along with Functional Neurology Medicine since 1997. He has a Ph.D. in Holistic Nutrition and is a C.N.S. (Certified Nutritional Specialist).. At the age of 29 he suffered with a diagnosis of chronic fatigue syndrome. Barely able to make it out of bed in the morning, he struggled through the day just trying to function. Heeding his mother's advice, he went to see a Holistic Physician named Dr. Gene Putnam. Using many of the same nutritional, neurological and detoxification strategies that Dr. Haskel uses today, Dr. Putnam guided Dr. Haskel's body to heal itself. Over the course of a year of treatment, his energy and focus returned! Now, over 20 years have passed and he has maintained a high level of energy and focus. The chronic fatigue became chronic energy! 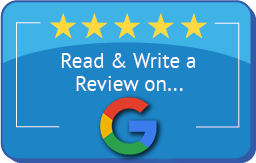 It was after treating with Dr. Putnam that Dr. Haskel decided to become a Holistic Physician. He attended Life College for his chiropractic degree and went on to Clayton College to obtain a postgraduate degree in Holistic Nutrition. 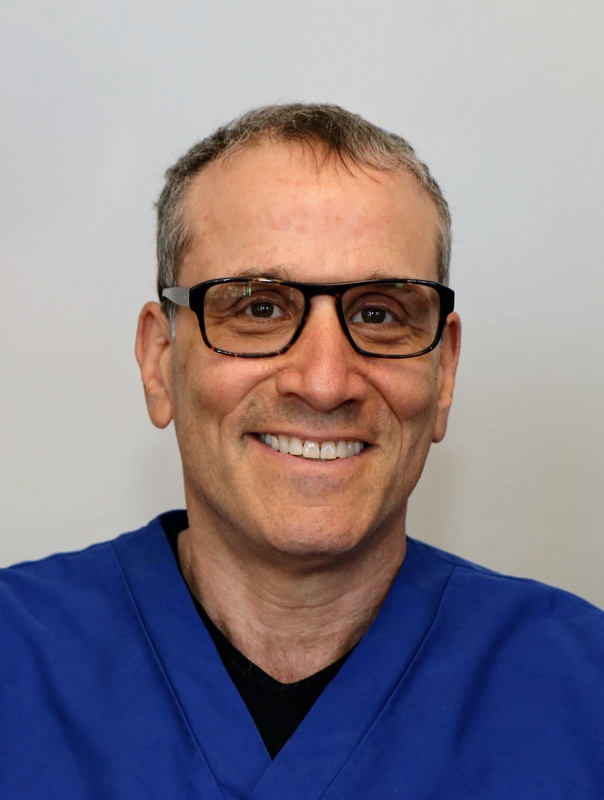 In 2014, he completed his educational requirements; 1000–hour clinical rounds and passed the certification test to become a Certified Nutritional Specialist. Dr. Haskel believes that God has put an awesome intelligence in the human body, and with gentle guidance, the body can heal itself. Mission Dr. Haskel's first mission is to restore hope. All too often, people have lost their sense of hope from having endured numerous experiences with high medical costs, pharmaceutical side–effects, "quick–in–and–out–the–door" treatments, doctors not listening to them, and more, just to end up feeling the same or worse. Looking for the underlying CAUSE(s) vs. just covering up symptoms allows Dr. Haskel to truly begin the healing process. A wide range of health challenges have shown to respond favorably to Dr. Haskel's Toxicological, Metabolic and Neurological treatment approaches. These conditions include, but are not limited to: Autism; ADHD/Dyslexia/Learning disabilities; Allergies; Migraines; Hot Flashes; PMS; Fibromyalgia; Depression/Anxiety; Fatigue; Vertigo/Dizziness/Balance issues; Irregular Menstrual Periods; Infertility; Insomnia; Eczema; Chronic Fatigue; Thyroid Issues; Peripheral Neuropathy...and more. 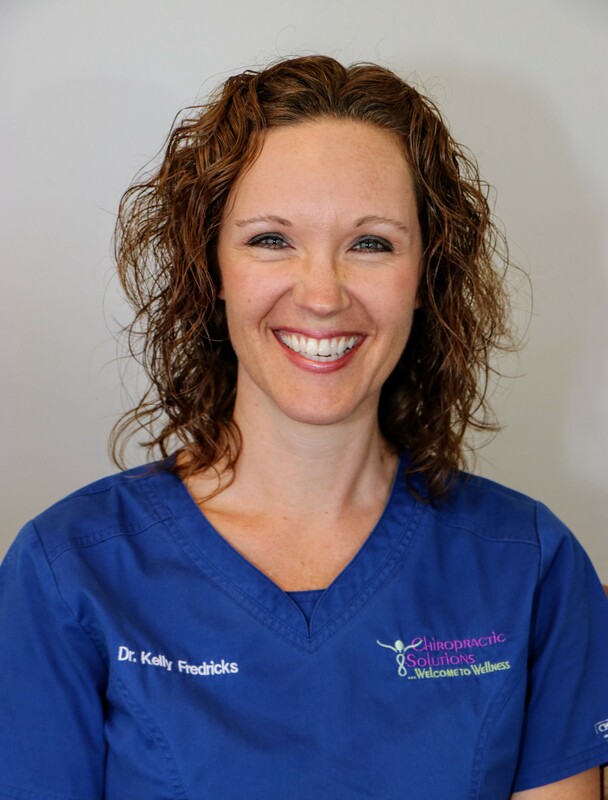 Dr. Kelly Fredricks resides in Port Orange with her huband Ben and daughter Stella. After earning her Bachelors degree in business and marketing she worked as a sales professional for 12 years. At the age of 31, Dr. Fredricks decided to go back to school to pursue a career that would involve her true passions of health, wellness & education. She chose the field of Chiropractic after meeting her mentor, Dr. Haskel and receiving regular KST adjustments in his office. Dr. Fredricks earned her Doctorate of Chiropractic degree in 2014, from Palmer College of Chiropractic in Port Orange, Florida. She loves treating patients of all ages but her true passion lies with pediatric, pregnancy and full family wellness care. Being a parent herself, she understands the challenges of raising a healthy child in today’s environment. Dr Fredricks, has completed over 200 hours of post graduate education which focuses on pediatrics and maternity through The Academy of Chiropractic Family Practice. 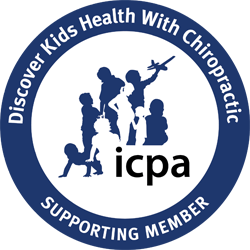 She is pursuing her pediatric certification from the International Chiropractic Pediatric Association (ICPA). According to the ICPA website, “The rigorous, 200 hour curriculum offers techniques and protocols of care for children and pregnant women. The 15 module course covers levels of training and expertise additional to what is offered in chiropractic colleges.” Dr. Fredricks is a Webster certified doctor through the International Chiropractic Pediatric Association. The Webster technique is a specific chiropractic analysis and diversified adjustment for all people but most specifically pregnant mothers. The Webster technique is a safe means to restore proper pelvic balance and function for pregnant mothers with a goal of achieving optimal fetal positioning and a reduction in birthing difficulty. Dr Fredricks’ primary method of adjusting is the Koren Specific Technique (KST). Using KST, Dr. Kelly is able to provide a gentle correction, which does not include popping or cracking. This less traditional adjusting technique which releases the body's energy to allow healing is gentle enough for all members of your family, including infants and the elderly. Along with KST, she is proficient in Activator Methods, Thompson technique, Quantum Reflex Integration and also performs a soft tissue technique called Graston which is very beneficial for sports and extremity injuries. Dr. Fredricks’ goal for the future as a Chiropractic Physician is to teach and empower people to be well, see their full health potential and live long and active lives! Dr Kelly wants her patients to enjoy coming in to her office – more like visiting with good friends rather than going to a doctor’s office. Dr. Cloe Barnes was born in Montreal, Canada and grew up in Northern Virginia. She was an avid soccer player through college at James Madison University where she graduated with a degree in Kinesiology with a concentration in Exercise Physiology. She then attended Palmer College of Chiropractic in Port Orange on Florida’s east coast. While there, she treated patients suffering from chronic headaches, athletic injuries, and treated women throughout their pregnancies as well as their families. Dr. Cloe has a passion for helping all patients while educating them about their bodies and the treatment they are receiving. 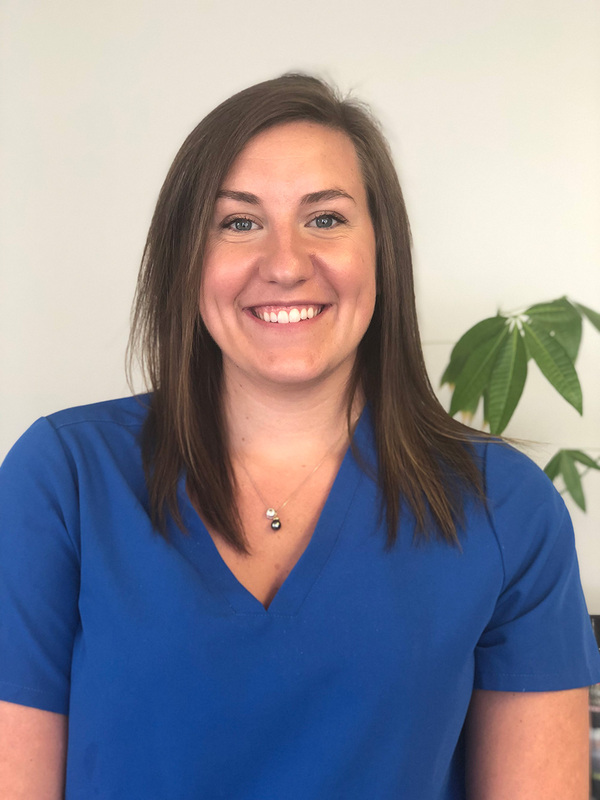 Dr. Cloe grew up always wanting to go into a healthcare profession but chiropractic stole her heart when in high school, she injured her back and was in danger of not being able to play the following soccer season. After physical therapy failed to help, her father brought her to his chiropractor and after a few weeks of treatment, she had almost completely recovered and was able to play soccer again without issue. Dr. Cloe adopted her dog, Stella, right before her move to Florida. Stella is a big fan of the Florida weather so Dr. Cloe decided to stay around after graduation. Linda was born in Pittsburgh, Pennsylvania. 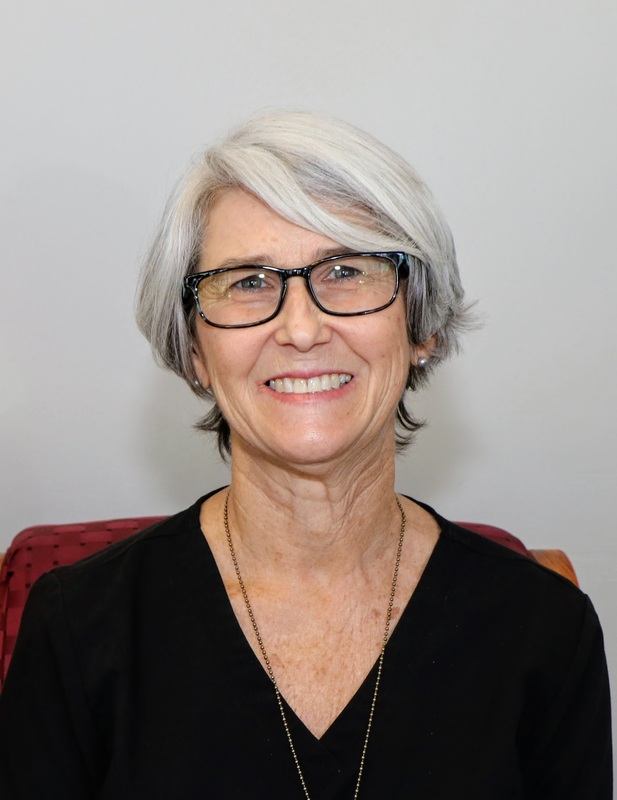 She is a licensed massage therapist, a member of American Massage Therapy Association and has a national certification in therapeutic massage and body work. Linda has spent her life working with people to help them improve their lives. She started at Slippery Rock University as a Health, Physical Education and Recreation major. She has been an Activity Director at the YWCA and Customer Service / Sales and Operations manager at Lowes. In 2008, feeling the need to pursue a healing approach to help people, she attended Everest University to become a massage therapist. Linda is a cancer survivor and believes that massage was an important part of her recovery. Linda describes her massage style as “Hybrid Massage”. 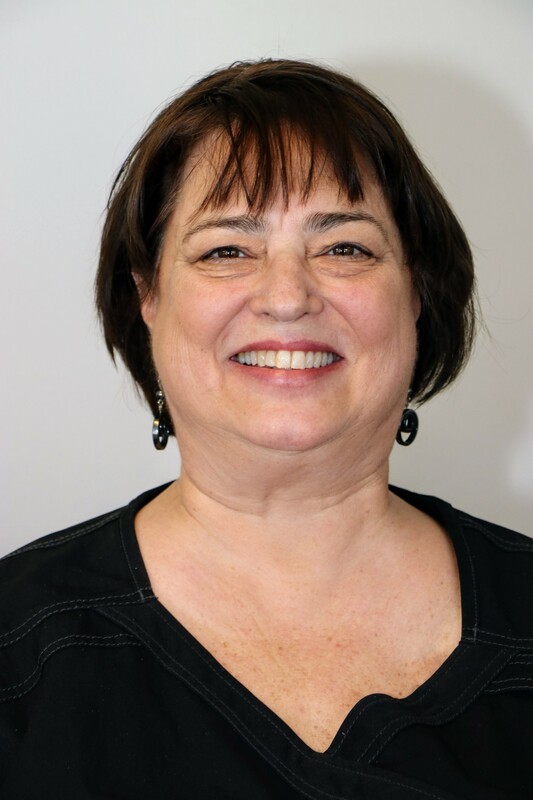 Trained in a wide variety of massage modalities*, Linda believes massage is a great therapy to maintain balance and release the stresses of daily life. Each massage is tailored to the individual and the modalities depend on the area of needed treatment. Taking pride in looking outside the box to attain the best possible results, Linda won’t stop until she finds the solution that best fits your healing needs. Linda joined Chiropractic Solutions in June of 2010. Swedish, Neuro-muscular / Trigger Point / Deep tissue, Lymphatic, Orthopedic, Pregnancy, Geriatric, Sports, Myofascial Release, Cranial Sacral, Reflexology, Active Isolated Stretching. In addition to the manual therapies, tools such as, ETPS, Myofascial Adhesion Therapy, Cupping and Aromatherapy may be included in massage. Lifestyle consultant. She holds a bachelors degree in Food & Nutrition Science from the University of Florida and is a Certified Health Coach. In addition to assisting the Doctors with patient therapies, she also guides patients through diet and lifestyle changes with practical solutions, coaching and support. Mary has 2 grown daughters and a husband of 30 years. Mary is passionate about helping people realize their true health potential so in her spare time she teaches Qigong, and writes a health article for a local magazine. She also practices yoga, enjoys gluten free cooking and jazz.